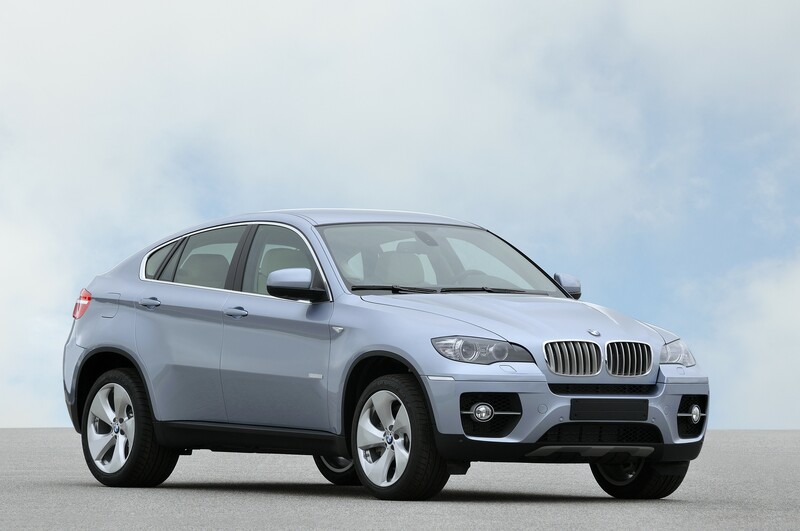 Our friends over at TheDieselDriver have recently published their review of the first BMW production ready hybrid: BMW X6 ActiveHybrid. “One of the most remarkable things about the new BMW ActiveHybrid X6, besides its performance (0-60 in 5.4 seconds) and fuel economy (20% better than the standard X6), is that the driver might never know he’s behind the wheel of a hybrid if it weren’t for the discreet ActiveHybrid badges and an electric drive display below the tachometer. Indeed, the BMW ActiveHybrid X6 handles more like the X6 M than the standard X6, not to mention the run-of-the-mill hybrid. This X6 may well be the most powerful hybrid in the world and yet the engine still shuts down at stops. It is clearly no sluggish Toyota Prius but, weighing in at 5,765 pounds (some 496 more than the non-hybrid), it doesn’t promise the fuel economy of a Prius either. We drove the ActiveHybrid X6 in a variety of conditions, from windy roads to city streets and it was easy to forget about the complex hybrid systems that contribute to its efficiency. In fact, the transition between its gasoline and electric powerplants was seamless.